A serial killer, an art critic, a prison inmate, a rodeo clown, zombies, snake handlers and a congressional investigation are central figures in some of the most buzzworthy movies debuting at the 2019 Sundance Film Festival, according to data from the website IMDdPro. The industry arm of the Internet Movie Database, IMDb.com, released a list Friday of the top 10 most anticipated movies premiering at Sundance, based on page views to the site between Nov. 28 — when Sundance announced its slate — and Jan. 15. Topping the list is director Joe Berlinger’s “Extremely Wicked, Shockingly Evil and Vile,” which stars Zac Efron as the notorious serial killer Ted Bundy. 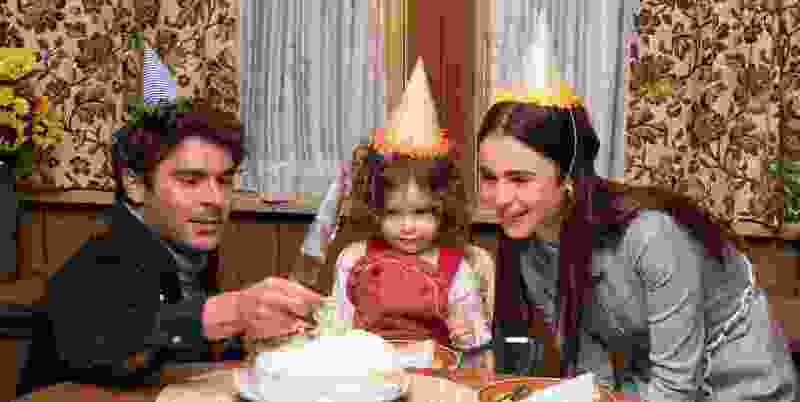 The movie looks at Bundy through the experiences of his girlfriend Elizabeth Kloepfer (Lily Collins), who was unaware of Bundy’s crimes. The movies on the list range from horror to comedy to drama. None of the 10 films listed are documentaries, or in a language other than English. IMDb and IMDbPro are a sustaining sponsor of the festival. 1. “Extremely Wicked, Shockingly Evil and Vile,” mentioned above. 2. “Velvet Buzzsaw,” writer-director Dan Gilroy’s horror satire of the art world, starring Jake Gyllenhaal, Rene Russo, Natalia Dyer, Toni Collette and John Malkovich. (Claudette Barius | courtesy Sundance Institute) Rene Russo and Jake Gyllenhaal star in Dan Gilroy's art-world horror-thriller "Velvet Buzzsaw," an official selection of the Premieres program at the 2019 Sundance Film Festival. 3. “The Mustang,” a drama by director Laure de Clermont-Tonnerre, starring Matthias Schoenaerts as a prison inmate who takes part in a program to tame wild horses. (Tara Violet Niami | courtesy Focus Features) Matthias Schoenaerts stars as Roman in Laure de Clermont-Tonnerre’s drama "The Mustang," an official selection in the Premieres program of the 2019 Sundance Film Festival. 4. “Honey Boy,” a drama directed by Alma Har’el, starring Shia LaBeouf (who wrote the screenplay) as his own father, an alcoholic rodeo clown. 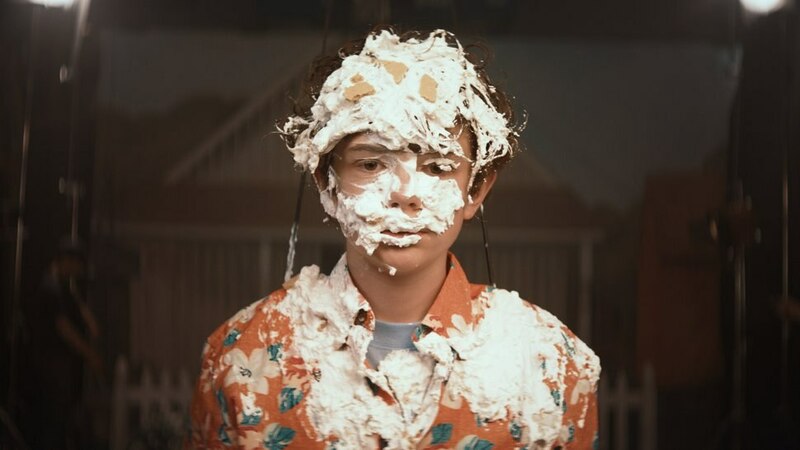 (Natasha Braier | courtesy Sundance Institute) Noah Jupe plays a child TV star in "Honeyboy," by Alma Har'el, an official selection in the U.S. Dramatic Competition of the 2019 Sundance Film Festival. 5. “Big Time Adolescence,” writer-director Jason Orley’s coming-of-age comedy about a teen (Griffin Gluck) and his college-age bad influence (“Saturday Night Live’s” Pete Davidson). (Photo courtesy Sundance Institute) A teen (Griffin Gluck, left) and his college dropout best friend (Pete Davidson) are at the center of "Big Time Adolescence," by Jason Orley, an official selection in the U.S. Dramatic Competition of the 2019 Sundance Film Festival. 6. “The Report,” written and directed by Scott Z. Burns, starring Adam Driver as a congressional staffer investigating the use of “extreme interrogation,” or torture, by the CIA after 9/11. The cast includes Jon Hamm, and Annette Bening as Sen. Dianne Feinstein. 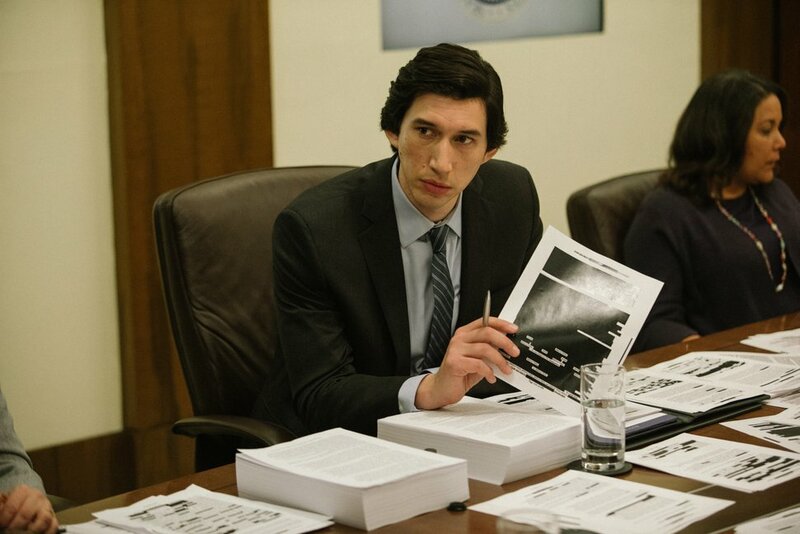 (Atsushi Nishijima | courtesy Sundance Institute) Adam Driver plays a congressional investigator looking into the CIA's Iraq War torture policy, in Scott Z. Burns' "The Report," an official selection in the Premieres program of the 2019 Sundance Film Festival. 7. “Paradise Hills,” a supernatural thriller directed by Alice Waddington, starring Emma Roberts and Milla Jovovich. (Manolo Pavn | courtesy Sundance Institute) Emma Roberts, left, Eiza Gonzalez star in director Alice Waddington's suspense thriller "Paradise Hills," which will screen in the Next program of the 2019 Sundance Film Festival. 8. 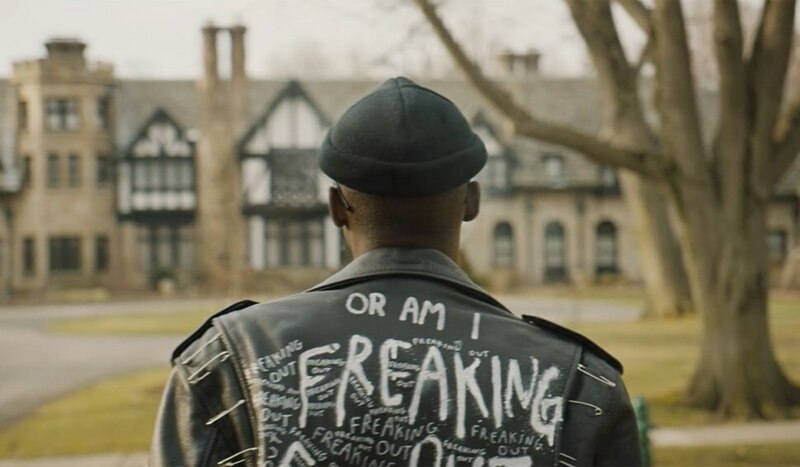 “Native Son,” artist Rashid Johnson’s adaptation of Richard Wright’s landmark novel of a black man (Ashton Sanders, from “Moonlight”) navigating rich white society. (Photo courtesy Sundance Institute) Ashton Sanders plays Bigger Thomas, in director Rashid Johnson's adaptation of Richard Wright's classic novel "Native Son," an official selection in the U.S. Dramatic Competition of the 2019 Sundance Film Festival. 9. “Them That Follow,” a drama set among an evangelical group of snake handlers, written and directed by Britt Poulson and Dan Madison Savage. 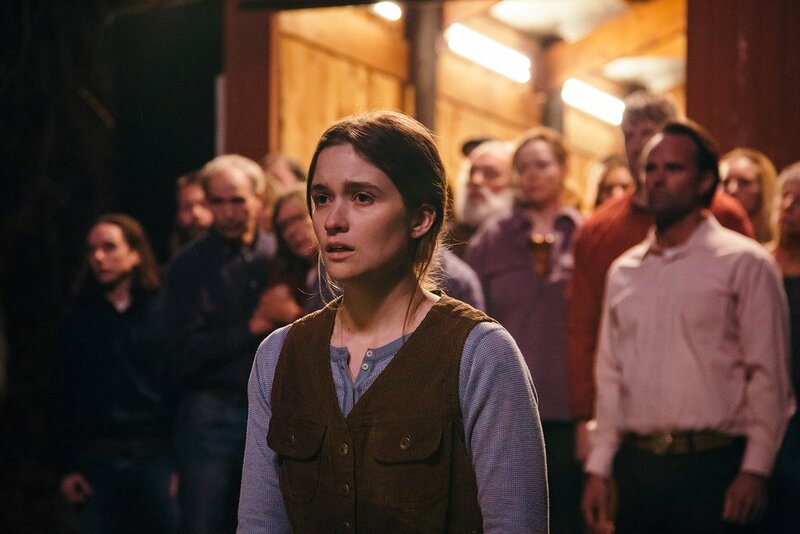 (Julius Chiu | courtesy Sundance Institute) Alice Englert, center, and Walton Goggins, right, star in "Them That Follow," by Britt Poulton and Daniel Savage, an official selection in the U.S. Dramatic Competition of the 2019 Sundance Film Festival. 10. “Little Monsters,” writer-director Abe Forsythe’s horror comedy about a kindergarten teacher (Lupita Nyong’o) protecting her class from zombies. (Ben King | courtesy Sundance Institute) Lupita Nyong'o plays a kindergarten teacher protecting her students from a zombie infestation in director Abe Forsythe's horror-comedy "Little Monsters," which will screen in the Midnight program of the 2019 Sundance Film Festival.